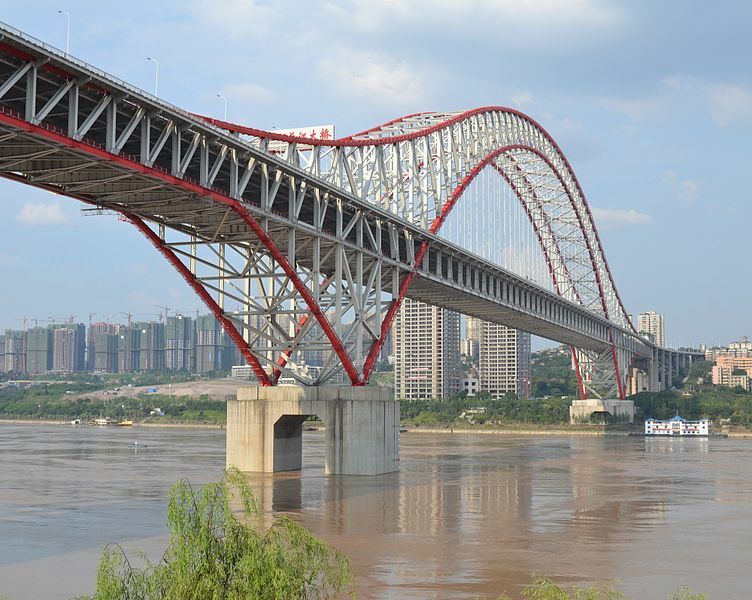 This entry was posted in build with metal, construction, contractors, design & build, design and build, design and build professionals, METALCON, METALCON 101, METALCON Education and tagged arch, archbridge, architects, Bridges, buildwithmetal, chaotianmen bridge, China, china engineering, Chongqing, Construction Expo, Construction Tradeshow, MCA, metal, metal construction, metal education, metal framing, metal manufacturers, METALCON, METALCON 2015, METALCON TAMPA, METALCON15, METALCON2015, metalconstruction, metalcontampa, steel, steel manufacturers, steel truss, steeltruss, tradeshow, Yangtze River on April 6, 2015 by METALCON. This entry was posted in build with metal, construction, contractors, design & build, design and build, design and build professionals, METALCON, METALCON 101, METALCON Education and tagged bridge, Bridges, Build, coatings, construction, design, designandbuild, designandbuildwithmetal, galvanizers, galvanizersassociation, golden gate bridge, goldengatebridge, MCA, metal construction, metal construction association, metal structures, METALCON, METALCON 2015, METALCON TAMPA, METALCON15, METALCON2015, METALCONSTRUCTIONASSOCIATION, metalcontampa, metalstructures, sanfrancisco on March 5, 2015 by METALCON. Easily one of our readers favorite posts every week is Magnificent Metal Mondays. Today we travel down under to Australia to see the glorious Sydney Harbour Bridge. 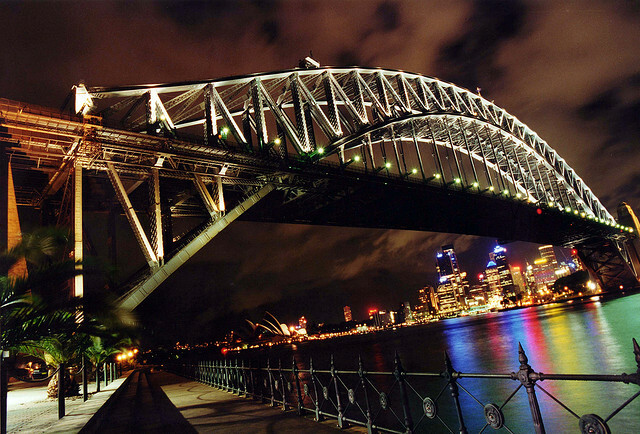 It is the world’s largest steel arch bridge with the top of the bridge standing 440 feet above Sydney Harbour. 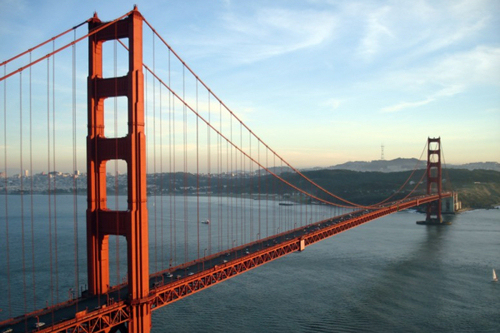 The bridge opened in March of 1932 and took approximately 8 years to build. A real interesting fact about the bridge is that the steel expands and/or contracts depending on whether it is hot or cold. This ultimately causes the bridge to not be completely stationary and can rise or fall up to 7.1 inch. This entry was posted in construction treasures, contractors, denver, design & build, design and build, design and build professionals, education, iron, Metal is Green, metal manufacturers, METALCON, METALCON 101, METALCON Education, METALCON Speakers, METALCON2014, steel, steel fabricator, steel manufacturer, structural elements, structural engineers, structural steel, treasures and tagged #METALCONDenver, Australia, Bridges, Civil Engineers, METALCON, METALCON 2014, Sidney, Sydney Harbour Bridge on July 21, 2014 by METALCON.